There are a number of legendary names in the perfume world – many of them household names – but one you might not have heard of is Jacques Polge. Since the late 1970s, Polge has been responsible for the creative direction of Chanel’s fragrances – including such favourites as Chanel Cristalle Eau Verte, available from outlets such as fragranceshop.co.uk – helping to craft some of the most famous perfumes of recent decades. Despite all this, however, he remains a relatively obscure figure. Of course, perfume devotees are well aware of his contribution and venerate Polge accordingly. So just who is Jacques Polge, and what has he done in his career for perfume lovers everywhere? According to an article from About.com, Polge is renowned as the ‘nose’ of the Chanel brand. Born near the French town of Avignon, Polge first developed an interest in perfumery in his childhood, when he and his family holidayed at Grasse – widely regarded as France’s perfume capital. Polge has revealed that this was where he was first introduced to the profession, and says that he had not visited Grasse it’s unlikely he would have ever become a perfumer. He also noted that the romantic side of perfumery was what drew him to it, in addition to the creative element. After completing a degree in English and literature, Polge returned to Grasse to on an apprenticeship in perfumery. During the course of this spell, he encountered and familiarised himself with thousands of individual fragrance ingredients, finely honing his sense of what went into a quality perfume. Having graduated from his apprenticeship, Polge went off to work for Roure (later Givaudan). In 1970, he worked alongside Michel Hy to develop Yves Saint Laurent’s Rive Gauche perfume for women. 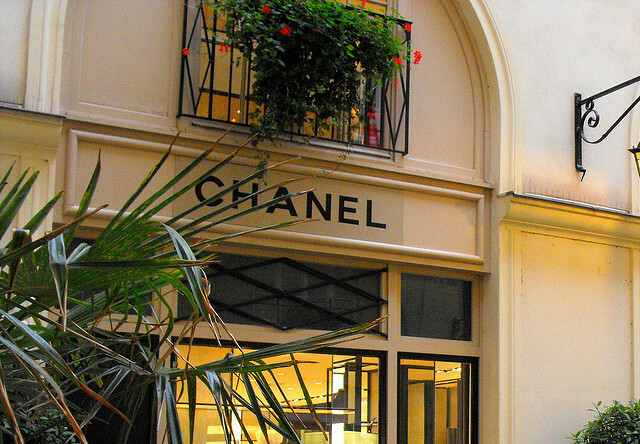 In 1978, Polge joined Chanel as its ‘nose’ – becoming only the third person to occupy such a role in the company’s history. He replaced Henri Robert, perhaps best known for creating Chanel No. 19 – the last perfume to be created in founder Coco Chanel’s lifetime. At the time of Polge’s appointment at Chanel, the house was one of only a handful to have a dedicated ‘nose’ of its own. In 1984, Polge’s first women’s perfume – Coco – was launched, dedicated to and inspired by the memory of the woman herself. Since then, Polge has been responsible for overseeing the development of a number of best-selling Chanel fragrances. These include Allure, Bois, Chance Eau Fraiche, Egoiste and Bleu. In an interview with Anothermag.com, Polge revealed some of the secrets behind his success. He cited Karl Lagerfeld and said that people tend to be relatively unconcerned about individual ingredients, but did reveal that he was particularly enthusiastic about ingredients such as grapefruit, vanilla and geranium. He also explained that he had been forced to return to France from New York by the requirement for military service, and that subsequently he had found his way to Chanel. Polge also revealed that he continues to carry out many of the more mundane tasks associated with perfumery, including checking the individual ingredients that go into the evergreen Chanel No. 5 throughout the year. Tags: Chanel, France, Grasse, Henri Robert, Jacques Polge, perfume. Bookmark the permalink.